A couple of months ago I was sent a package by a sweet lady named Leslie. She had made a couple of things for me and sent over some pretty fabrics as well as a pattern for her reversible bowl cozies. I showed all the goodies in an unboxing HERE! 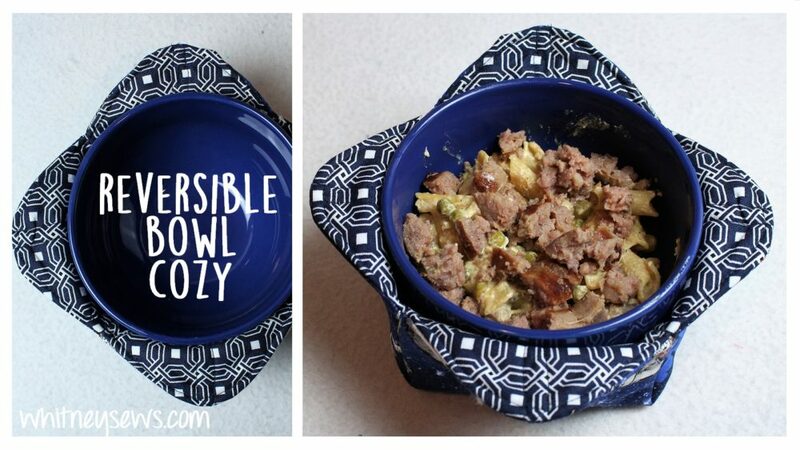 Several people asked to see a tutorial for the bowl cozy, so that is what I’m sharing today. After you’ve picked out your two fabrics, a fusible fleece (this is my favorite), and a coordinating thread, you’re ready to make the pattern. The pattern is a 10.5 by 10.5 inch square. Draw a line through the center (at 5.25 inches) in each direction. Then mark 2 inches down on each center line and 2 inches away from the center on the outside lines. Connect those markings to form a triangle. Round off the outer edges and your pattern is ready. Now you’re ready to make the cozy. Watch the step-by-step sewing pattern HERE! These cozies are NOT microwave safe because they are not made of 100% natural fibers. 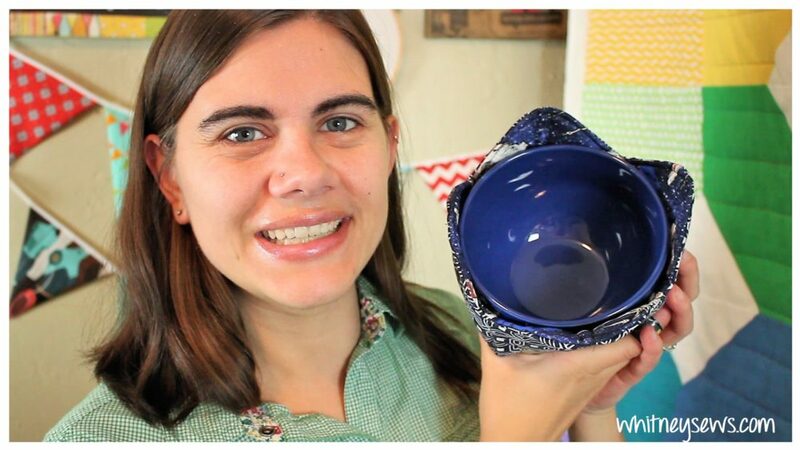 Use them to hold food that has already been heated on the stove. If you want to make a cozy that is microwave safe make sure to use cotton fabric, cotton thread, and Wrap n Zap instead of fusible interfacing. You can find Wrap n Zap HERE! BTW these cozies also work perfectly for bowls of ice cream too! Gotta keep those fingers from getting too cold while you enjoy a snack. Will you be giving this project a try?? If so I would love to see a pic! 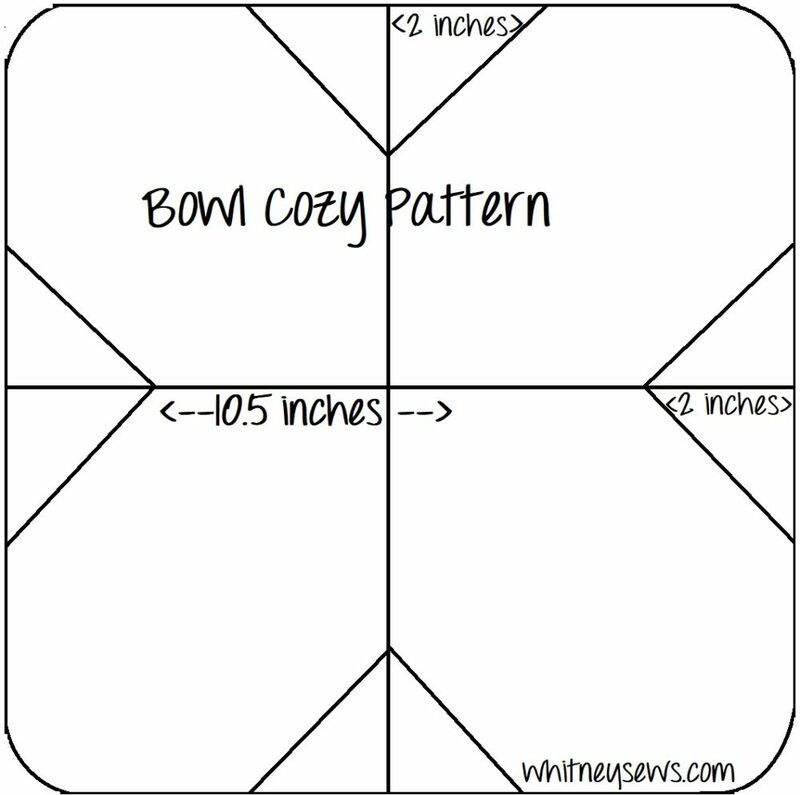 Please share using #WhitneySews on instragram or directly to the Whitney Sews facebook page. 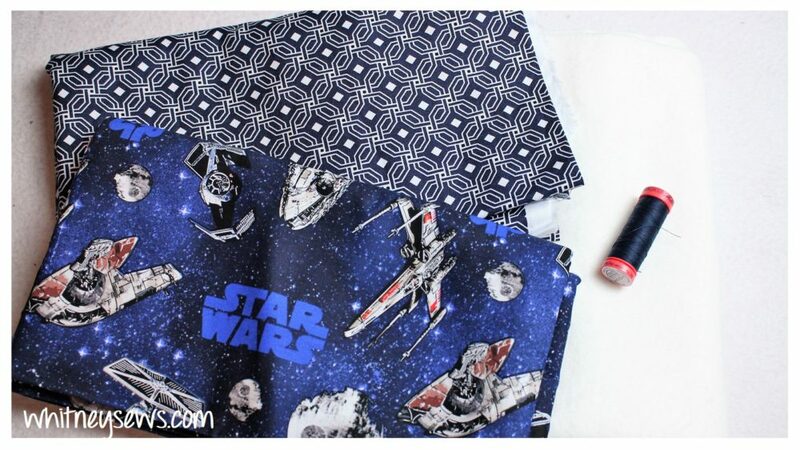 This entry was posted in Blog and tagged DIY, How to, Reversible, tutorial.